Ghana is becoming to an increasing extent engaged in international trade. It is worth mentioning that the nation has made good economic progress in cooperation with the IMF over the last three years, thus remaining one of the most economically sound countries in Africa. Ghana continues to attract the attention of well-known international companies, that decide to invest in all sectors of Ghana's economy. And what does Ghana export? The country has continually depended heavily on a selected few commodities for export. Gold is one of such commodities, bringing in almost 48 % of the country’s revenue. Ghana is also gifted with the following mineral deposits: gold, diamond, manganese and bauxite. The other main exports of Ghana comprise timber and cocoa. The main export partners are the United Kingdom, Togo, Germany, Italy, Netherlands, the United States, and France. If you are interested in exporting goods and services from Ghana, visit Export Portal, one of the world's largest export import platforms, dedicated to promoting trusted trade across the globe. Post and browse both Ghana's companies and trade-related information in over 50 categories. We pride ourselves on serving thousands of international businesses from all over the world and creating the most trusted trading environment on the web. Join us to source and connect with Ghana's gold exporting companies, timber or cocoa exporting businesses, or Ghana's suppliers of mineral products. Export Portal is your gate to international trade. Export Portal is one the world's largest North-American based export/import platforms, dedicated to promoting trusted trade on the worldwide level. This is where importers find exporters and import goods to any country in the world. If you are interested in importing goods to Ghana, Export Portal offers you business to business and business to customer resources for the international trade. Contact worldwide exporters and importers, find offers to buy, business opportunities and trade leads in Gabon and over 200 countries of the world. You can also get the most complete and accurate information on products supplied by trusted sellers and manufacturers. Ghana's top imports include special purpose ships, refined petroleum, cars, delivery trucks. Ghana's top import partners are China, Cote d'Ivoire, the United States, Belgium-Luxembourg and India. Nowadays Export Portal is the most popular online platform, specializing in bridging the gap between global importers and exporters. Use the platfoem to find reliable and competitive suppliers. Republic of Ghana is a sovereign unitary presidential constitutional democracy, located along the Gulf of Guinea and Atlantic Ocean, in the subregion of West Africa. 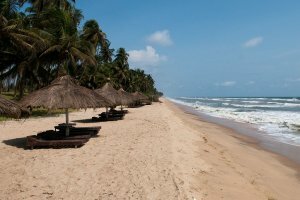 A multicultural nation, Ghana has a population of approximately 27 million, spanning a variety of ethnic, linguistic and religious groups. 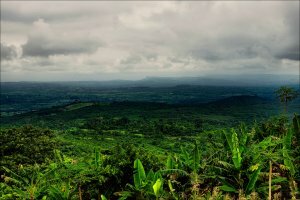 Its diverse geography and ecology ranges from coastal savannahs to tropical jungles. Ghana is one of the world's largest gold and diamond producers, and is projected to be one of the largest producer of cocoa. Ghana's growing economic prosperity and democratic political system has made it a regional power in West Africa. Tariffs and duty rates are constantly revised and are subject to change without notice. Customs duty exemptions are available for all agricultural, industrial plant, machinery and equipment imported for investment purposes. Customs clearance of cargo through the seaports involves dealing with a number of logistics service providers and governmental bodies in order to fulfil all contractual and tax obligations that might be associated with the import consignment. The agencies include Customs Excise and Preventive Service (CEPS), the Ghana Ports and Harbours Authority (GPHA), Shipping Agents and Destination Inspection Companies. Ghanaian law enjoins all importers with the exception of Declarants to engage the services of licensed Customs House Agents for the clearance of cargo at any freight station in Ghana. There are various stages in the customs clearance processes of cargo from the seaport. The clearance process starts with the valuation of the cargo, declaration of cargo data on to the GCNET, payment of duty and other relevant cargos, verification at the Compliance Section of CEPS, release by the Shipping Agent, delivery by GPHA and CEPS physical examination or scanning of cargo before cargo is allowed to exit the port. Exporting is divided into traditional and non-traditional. Traditional Exports include: cocoa, timber / lumber, mineral resources, electricity etc. 1. Register with the Registrar-General’s Department and the Ghana Export Promotion Council. 2. Obtain BOG Foreign Exchange Declaration Form (FXD Form 4A) which can be downloaded from the Bank of Ghana. 3. Obtain permits/certificates from issuing institutions (e.g. Ghana standard board quality assurance certificate for fresh/processed fish to EU countries, COCOBOD Quality Assurance Certificate for fresh/processed fish to EU countries, COCOBOD Quality Control Certificate in the case of coffee, sheanut, cashew nuts, packing list in the case of personal effects etc). 4. Obtain the Customs Entry Form. 5. Obtain certificates of origin (EURI Form) from CEPS for goods which are to benefit from preferential tariff treatment in the EU and other preference giving countries. - Obtain a Non Traditional Export Form from the Customs Export shed at the Port/Frontiers. - Obtain certificates of origin (EURI) from Customs for goods to benefit from preferential treatment in the EEC and other preference giving countries. 5. Import Declaration Form (IDF) from the Ministry of Trade and Industry. 6. Tax Clearance certificate from the Domestic Tax Revenue Division issued in the name of the importer or 1% of CIF payment fee. 7. Tax Identification Number (TIN) from the Ghana Revenue Authority. 8.Permit or License from the appropriate Ministry/ Agency Department as applicable for restricted goods. 9.Appropriate letter of Exemption from payment of duty and/or taxes as applicable. 1. Submission of Import Declaration Form (IDF), Bill of Lading, Invoices and Packing List to the appropriate Destination Inspection Company for the issuance of a Final Classification and Valuation Report (FCVR).